So, what’s User Controlled Encryption, anyway? User Controlled Encryption is what sets Mega’s privacy apart from other cloud storage providers. You see, most providers have the decryption key to access your files, but Mega gives all the control to the user. The user decides who has access to their files, and there are no software installations involved. This technology hopes to protect all our calls, emails, chats and video streams. Who’s Behind the Mega Cloud? 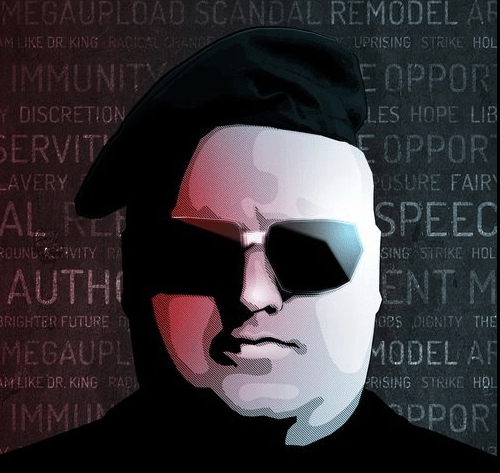 Obviously, this is Kim Dotcom’s new controversial baby, but he’s gathered a team of dedicated techies to build the site from scratch. Designers include Finn Batato, Mathias Ortmann, and Bram van der Kolk. And, CEO Tony Lentino, industry veteran that has experience running a global domain registry. Apparently, over 1,000 hosts have already shown interest in partnering with the startup to provide server space. He owns a $30 million mansion, aptly named The Dotcom Mansion, in Auckland, NZ. He spent $500,000 for a New Year’s fireworks display in Auckland. 18 luxury cars were among the property seized by authorities last year, and included a pink cadillac and Rolls-Royce Phantom Drophead Coupe (for you car lovers out there). If you’re looking for an incredibly privacy way to store your files, check out Mega. If not, it’s still probably worth keeping up with this caricature of a man (and also to see if Mega gets seized too!) Let the saga continue!